In this sweeping saga that spans empires, peoples, and nations, M. Scott Heerman chronicles the long history of slavery in Illinois in the heart of the North American continent. Arguing that slavery had no fixed institutional definition, Heerman traces various practices of slavery through indigenous, French, and finally U.S. systems of forced labor. 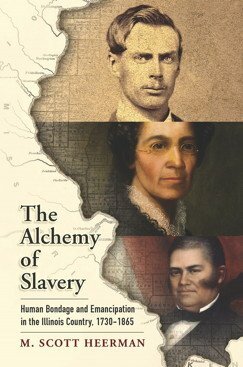 The Alchemy of Slavery thus reveals the diverse and adaptable practices that masters deployed to build a slave economy in the Mississippi River Valley, attempting to outmaneuver their abolitionist opponents who partnered with African Americans to wage an extended campaign against slavery in the region. Scott Heerman is Assistant Professor of History. 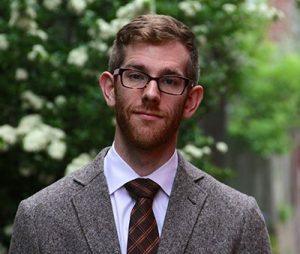 He completed his Ph.D. from the University of Maryland, and was the Patrick Henry Postdoctoral Scholar at Johns Hopkins University.